The lethal dose of ethylene glycol is 1 to 2 ml/kg. Like methanol, the toxicity of ethylene glycol is mediated through its metabolites of which glycolate and oxalate are the most important. However, unlike methanol, ethylene glycol causes central nervous system depression and inebriation in a similar manner to ethanol. The toxicity of ethylene glycol results from a combination of the severe metabolic acidosis caused by glycolic acid and the precipitation of calcium oxalate crystals, with impaired organ function as a result. Ethylene glycol poisoning is characterized by an initial central nervous system depression phase with inebriation progressing to coma. Following a short latent period of 4 to 12 h, the signs and symptoms due to the metabolites start to appear. The increasing accumulation of glycolic acid leads to severe metabolic acidosis and increasing hyperventilation. For unknown reasons, elevated blood pressure and tachycardia are usually prominent features. Without adequate treatment, the patient will deteriorate rapidly. In addition to central nervous system depression (cerebral edema occurs), convulsions, oliguric renal failure, and respiratory problems usually develop. Pulmonary infiltrations may be observed radiologically but these changes are thought to be non-infective in origin. 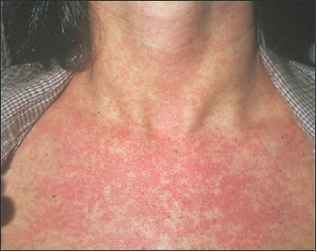 In severe cases acute respiratory distress syndrome may develop.